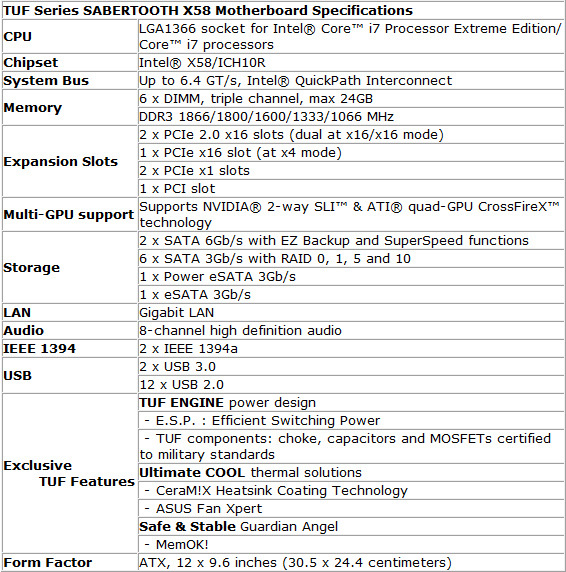 Another addition into the well known Asus TUF series, is the Sabertooth X58 board. As you would expect from such a high-end board you will find each and every feature an enthusiast can want. 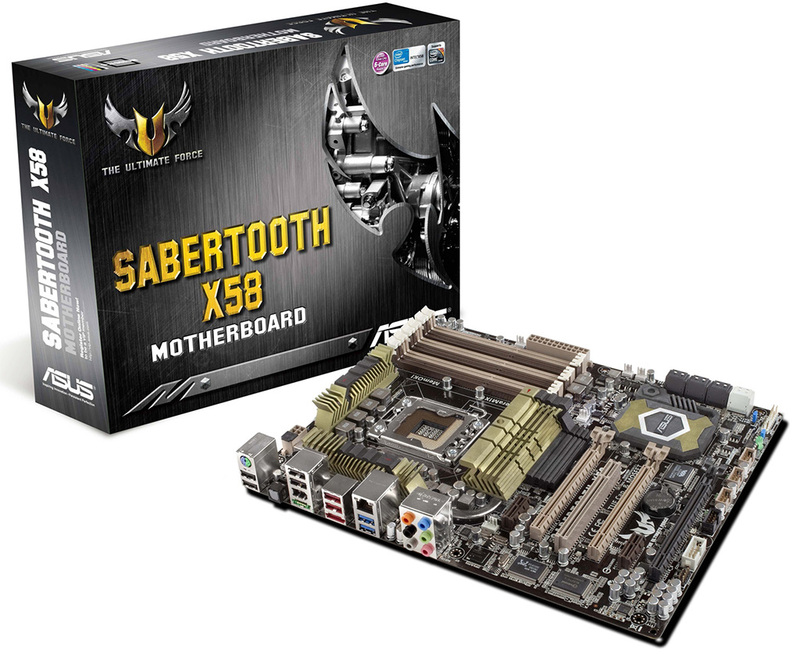 The X58 chipset based board supports Core i7s upto the 980X Extreme Edition. Connectivity includes SATA 6GB/s ports, USB3.0 and two PCIE Slots that run at X16 even when two GPUs are used. Other than that the board is made from high end components that give ultimate durability and reliability and should be an excellent choice for enthusiasts and overclockers.